Episode 146 of Talk Ultra brings you an interview with the amazing Courtney Dauwalter who won Run Rabbit Run and then just weeks later won Moab 200 (238 miles) outright! 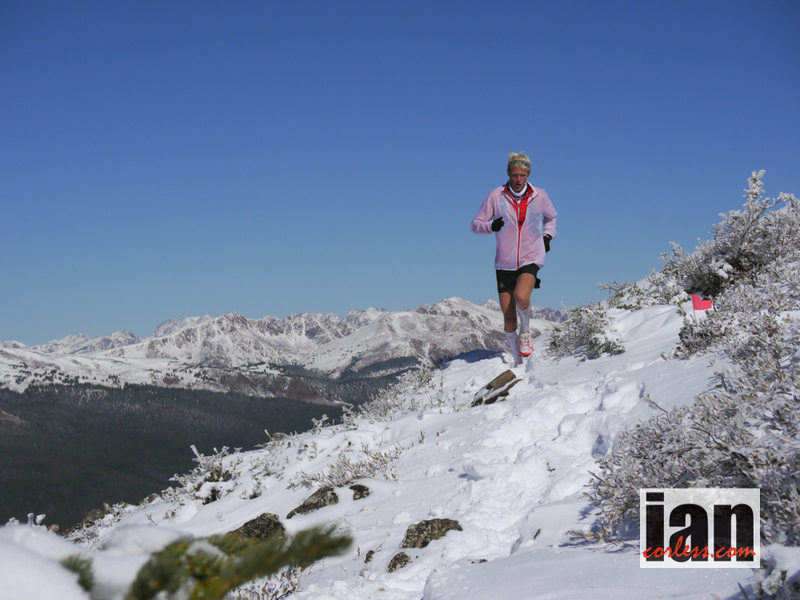 We also speak with rising trail and mountain runner Katie Kaars. Speedgoat co-hosts! Patrick Reagan took the top slot over Zach Bitter and Brendan Davies placed 3rd, it was close under a super hot day – 13:01 (new CR and his debut 100) Zach ran 13:52 (he was previous course record holder) and 14:04 for Brendan. For the ladies’ Larisa Dannis made a comeback in 16:32, Dana Anderson ran 17:15 and Stacy Buckley 19:32. The 100km even was won by Makai Clemons 8:32 and Caroline Boller (who has been on Talk Ultra) in 9:34. Benoit Girondel ran 23:53 which is a very solid run on this tough course, Antoine Guillon 2nd and Guillaume Beauxis 3rd 24:26 and 25:09 respectively. Andrea Huser did it once again, this woman is the most prolific and consistent ultra runner in the world, I and nobody else knows how she does it. Quite incredible. Top slot in 26:34 which was way ahead of 2nd Emelie Lecomte and Marcelle Puy who ran 29:02 and 30:58. The UK’s Beth Pascall was 6th in 32:08. Well, Walmsley did a Walmsley and dropped around 100km but there was other notable drops – Julien Chorier, Ludovic Pommeret and Xavier Thevenard didn’t start. Ruth Croft pulled off a huge victory ahead of Ida Nilsson and Emelie Forsberg, their times 7:27, 7:33 and 7:46. Fast! For the men, Sebastien Spehler, Nicolas Martin and Alex Nichols were crowned top-3 for the 76k race – 6:38, 6:43 and 6:49. A huge day for the VK with Philip Gotsch setting a new world record of 28:53 for the 1.9km 1000m course – ridiculous. Christel Dewalle won the ladies race in 35:10. Bonkers, bonkers, bonkers! Guillaume Calmettes was last man standing after 59-hours, 59-laps of the 4.16 mile loop. Harvey Lewis pushed it close but faltered in the latter stages. Total distance 245.44 miles! 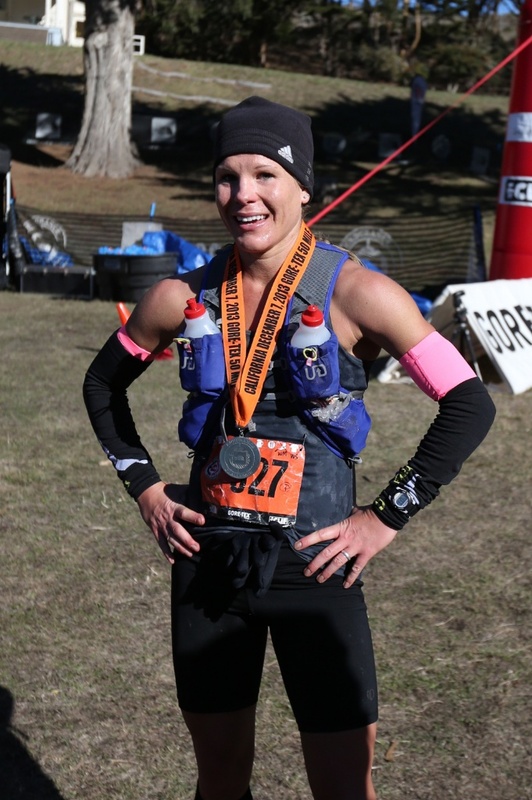 Courtney Dauwalter runs an incredible 57-hours and 52-minutes for an outright win for the 238-mile race, we caught up with her to hear all about it! Jason Schlarb is ‘the man!’ – Let’s face it, anyone who can go head-to-head with ‘KJ’ and finish alongside him at Hardrock 100 is doing something right. Jason just placed 3rd at The Coastal Challenge in Costa Rica and while we downed one or three ‘Imperials’ we discussed what 2017 has in store. Episode 120 – Alex Nichols tells us all about his first 100-miler and how how he won it! Emelie Forsberg tells us about her return to Kima and finding solace and new skills in India. Jasmin Paris is on fire and we sum up an incredible 2016 and ‘another’ round record and finally Speedgoat Karl answers your questions about the Appalachian Trail FKT. Daniel “DJ” Denton Funny: will he burn the van because it has his permanent stench after not showering for over 40 days, and, Serious: did the experience result in a deeper bond/relationship with is father and wife? Chris Morgan Ask Karl if he had to push through any injuries? And if he did how did he do it and did they go away? Or did they become something that needed constant management. Florian Schuetz What made the difference compared to his previous attempts? Why did he manage to break the time this year? Better fitness, no injuries, mental game, etc. Brett Slater I’d be interested in his foot care regimen and how he avoids calf issues. 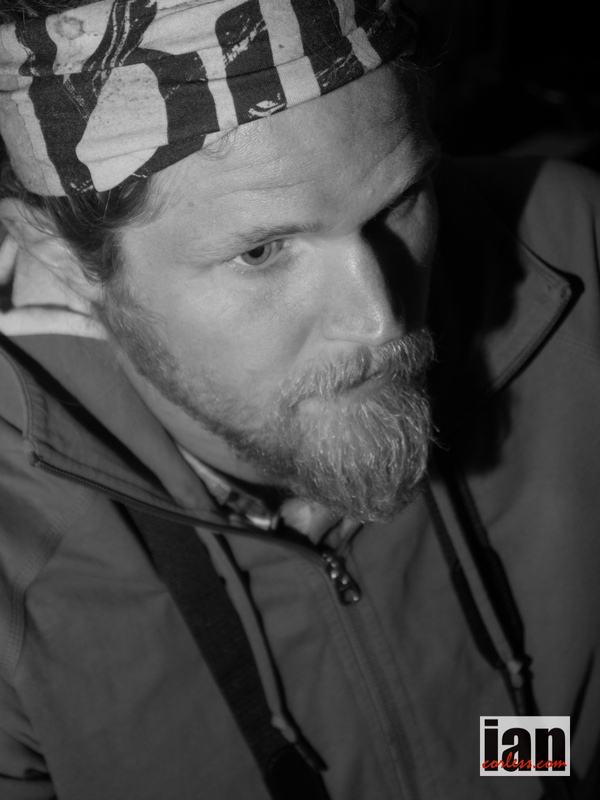 David Nowaczewski Ask him what the heck happened on the day he was found face down on the trail? Ray Jackson Jr. Ask him how it feels to finally be home and in a place where he can rest without deadlines. Stephen Cousins What are Karl’s thoughts about Kaiha Bertolini? Paul Weir I’d ask Karl, what was it like having scott help you beat his record? Brett Hillier Advice for anyone trying to attempt a long distance FKT? Gary Broughton When Scott Jurek broke the record, people called it his ‘masterpiece’. Does Karl consider this his masterpiece? Francis Pardo Details on fueling strategy. Did it change over the course of time? Finn Melanson In almost every aspect for a speed record attempt, going SOBO is a completely different hike than going NOBO. Should there be separate records for direction? Garrett English Does he still feel 2190 miles isn’t that far? In the SkyRace (39km) Joe Gray did the double ahead of Tayte Pollman and Patrick Parsel – 4:00, 4:00.3 and 4:11 respectively. Florian Vieux and Emilie Leconte won the self-supported race with Sebastien Nain and Elisabet Barnes taking 2nd. Miguel Heras was back to winning ways with a dominant performance and just missed Kilian’s record. he finished in 12:05.Jessed Hernandez and Cristofer Clemente was 3rd. Cristofer became Skyrunner World Series champion for the Ultra distance. 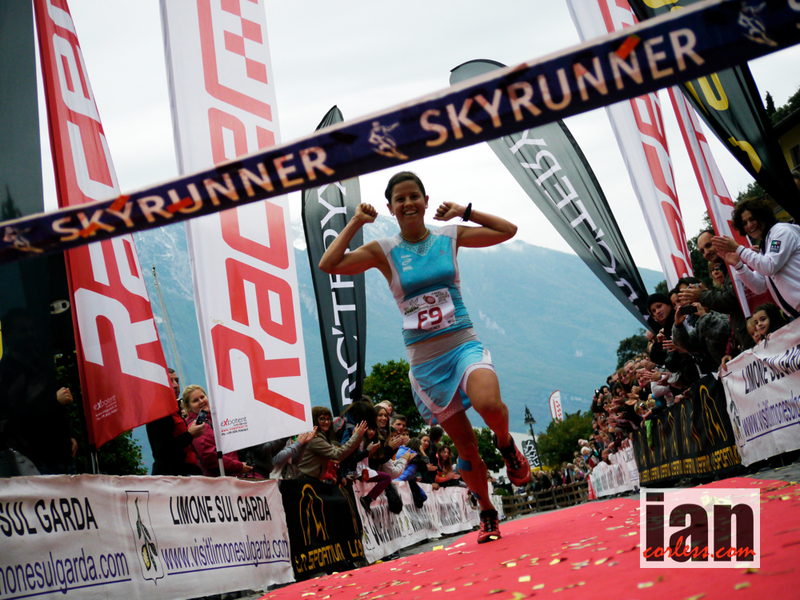 Gemma Arenas tool the race win and Skyrunner World Series. Hillary Allen and Anna Comet placed 2nd and 3rd in the race. Episode 79 of Talk Ultra is another packed show! We speak with HK100 2nd placed runner, Sondre Amdahl. We also speak to the female winner of the UK’s, The Spine, Beth Pascall. Nikki Kimball discusses her incredible 2014 season with victory at Marathon Des Sables, top-5 at Western States Endurance Run and winning Run Rabbit Run. The News, a Blog, Up & Coming Races and Speedgoat Karl Meltzer. Pavel Paloncy 79:34 and Beth Pascall 90:59 – It is the longest non-stop foot race in the UK, set against the unforgiving British winter. 268 miles of ice, snow, cold and savage winds. You have 7 days to complete the race from Edale to Kirk Yetholm. 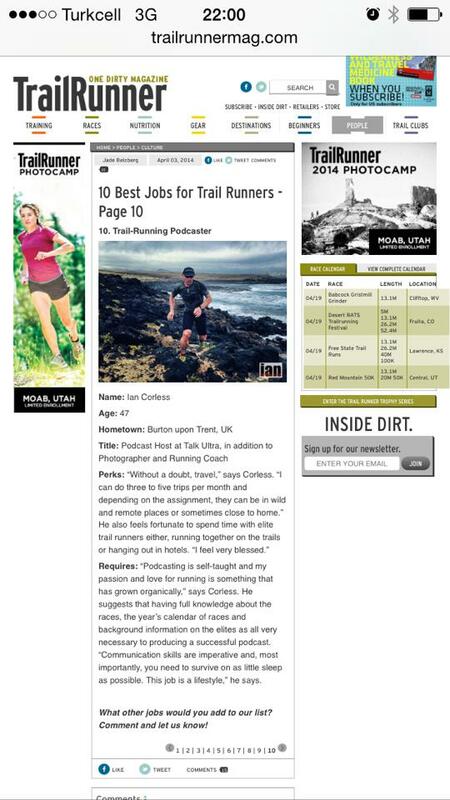 Nick Clark is one of the most respected 100-mile runners in the world. He is known for being tough and getting the job done! Born in the UK he moved to the US way back and started notching up a list of stunning ultra results that dates back to 2006. He placed 4th at Western States and won Wasatch 100 in 2010. In 2011, ‘Clarky’ did an impressive double of placing 3rd at Western States and then 3rd at Hardrock 100 just 2-weeks later. For many though, Nick elevated his profile in 2013 when he went head-to-head with Ian Sharman in the Grand Slam of ultra running. In an epic battle, the two US based Brits traded blows in one of the most exciting moments in our sport. Sharman came out on top but only just… Clark has often joked that after he won the last race, Wasatch he was the Grand Slam record holder in 2013 until Sharman finished. It takes some doing just completing four 100-mile races but to place 6th at Western States, 3rd at Vermont, 2nd at Leadville and then win Wasatch blows my mind! 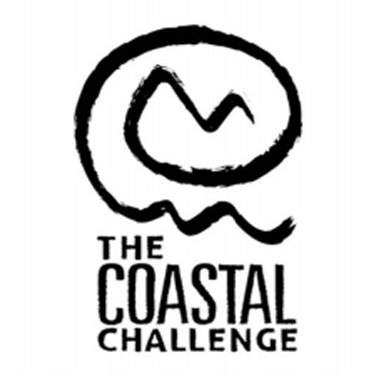 Clark started 2014 with The Coastal Challenge in Costa Rica, his first multi-day race… he went on to say it was one of the toughest races he has done. 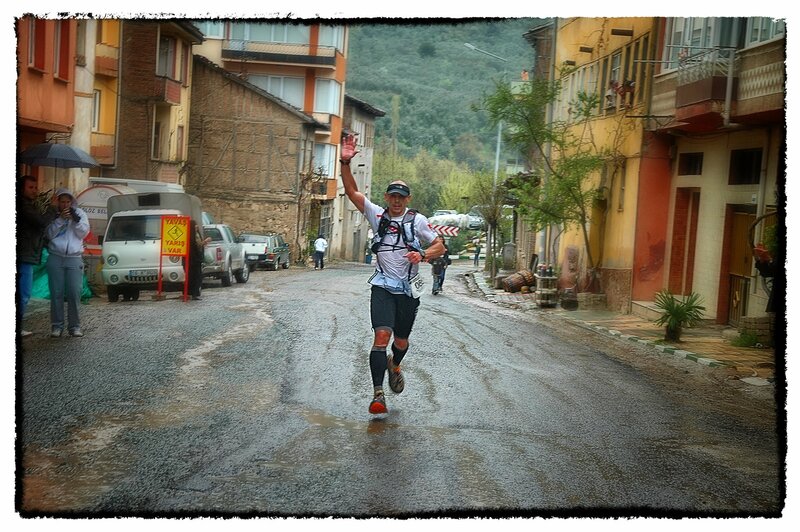 At UTMF he placed 10th and recently he placed 5th at Run Rabbit Run. 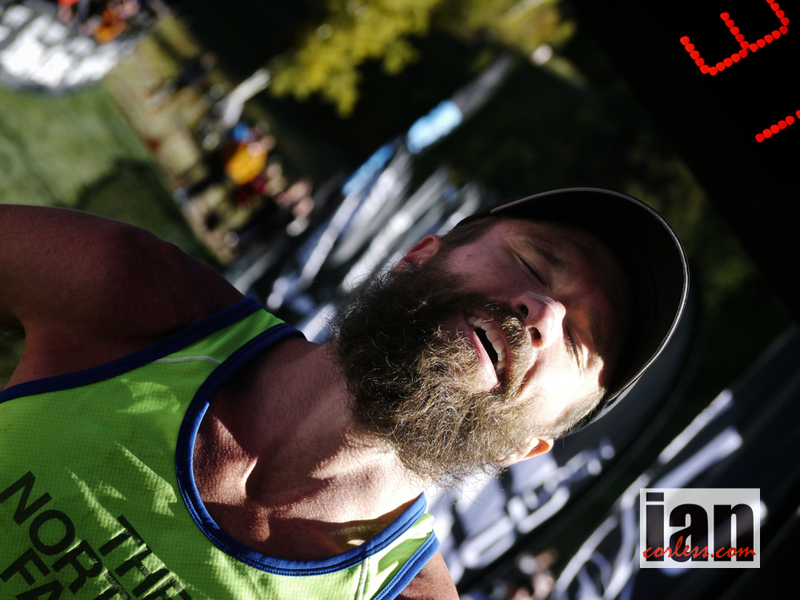 The only blip this year came at Western States when he toughed out a 47th place… a real bad day at the office! And now the Salomon SkyRun in South Africa looms. I caught up with Nick to find out about his expectation are for what will be a tough day out in the Drakensberg mountains. How have the last couple of months been from a racing perspective? Up and down, I guess. I had a terrible run at Western States this year – I think I was burned out on the race – then came back and had a much better run at the Run Rabbit Run 100 in September, filling me with a good level of confidence for the SkyRun. How’s training going; have you been training specifically for South Africa? As noted above, I’m just looking to get into the mountains and to get into remote, steep terrain with some navigational elements thrown in. Off trail and steep is the mantra. Maybe you have been brushing up on your navigation and looking at some maps? I’m forever looking at maps dreaming up fun routes in the mountains. It is for this reason that I’m so excited about Sky Run. Are you intimidated by the navigation element of the SkyRun? Absolutely not. It adds a unique and seriously fun, in my opinion, element to racing in the mountains. The course sounds extreme, particularly if the weather turns. Have you researched the course? Not in depth, but I will. I plan to be as prepared as I possibly can be for this event. 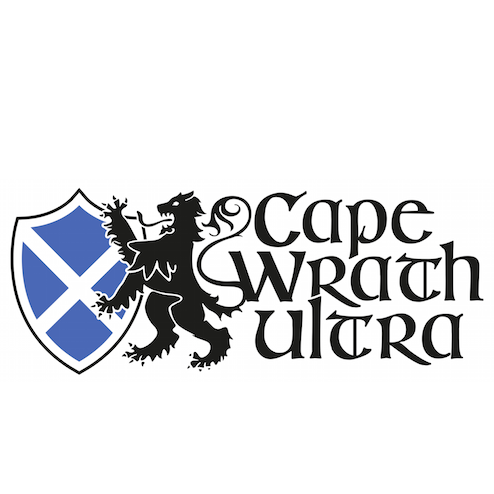 A strong local contingent will be toeing the line… Iain Don Wauchope, AJ Calitz and so on… do you know much about them? No, but thanks for the heads up. I’ll seek these guys out and assuming I can keep up, probably slot in behind for much of the course. Working together with friends in the mountains is one of the best parts about hitting remote routes. Michael De Haast has put up a great price purse should somebody post a great time, is that an incentive for you? Ask me halfway through the route. I have no idea how stout that time really is. If I’m on schedule through halfway and feeling strong, then I’ll definitely be motivated to go after it. If not, then I’ll just continue to enjoy the primary reason for being in South Africa: enjoying a new mountain range and culture. Have you been to SA before? First time. I am seriously excited. 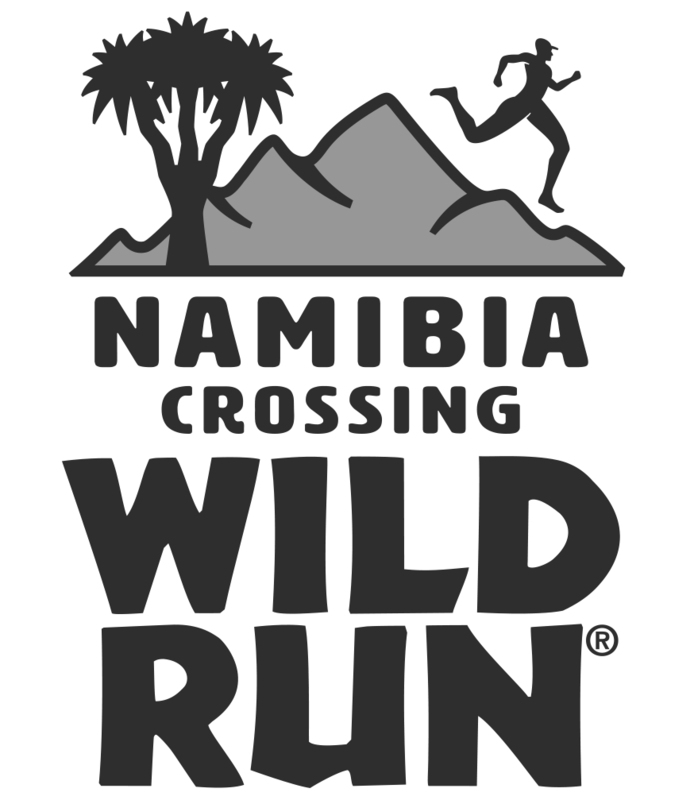 I’m really looking forward to connecting with the South African running community, eating some local delicacies, and getting stuck into those Witteberg Mountains. The South Africa Sky Run provides a truly unique opportunity to race in a remote and scenic mountain location. For me the best part about the event is the navigational aspect. Having no markers to follow means that I’ll need to be in tune with the topography and hyper-conscious of my location in relation to that topography. In my experience, the navigational piece really helps to connect with the particular location I am traveling through, which in turn adds a level of appreciation for the terrain that you just don’t get if you’re racing head down through a landscape. I look forward to bringing home a beautiful mental picture of the Witteberg Mountains to share with friends and family. 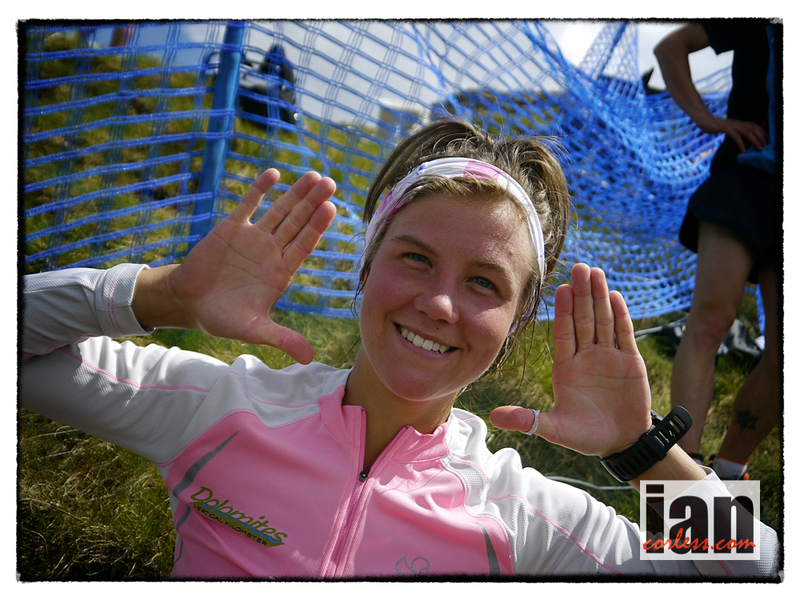 The Salomon SkyRun takes place on November 22nd and you can view the official website HERE. The Witteberg is a South African mountain range just off the south-west corner of Lesotho. The range, which rises to 2408 metres, stretches for about 60km from Lundin’s Nek in the east to Lady Grey in the west. The range lends its name to the Witteberg Series, the uppermost fossiliferous sequence of the Cape System of sedimentary rocks in South Africa. The race starts in the town of Lady Grey which is famous for its annual Nativity Play and its quaint houses and incredible scenery. Discover the wonder of Balloch cave along the route with it bushman art and idyllic setting nestled between some of the highest peaks in the Witteberg. The Witteberg range is one of the most picturesque places in South Africa with some distinctive peaks like Avoca and Halston Peaks dominating the skyline. The Salomon SkyRun is true mountain running with a variety of terrain from hiking paths that lead you up to the tower, some jeep track is a welcome relief from the majority of the terrain which is on the mountain side as this is a self-supported and self-navigation the route choice is very much in the hands of the individual competitors. Once you have left the town of Lady Grey behind the beauty and remoteness of these mountains soon engulfs you and it is not uncommon to run for the entire race without seeing much civilization around you except those involved in the race. The fauna and flora is incredible and there are over 650 plant and 80 animal species know to habitat the mountains of the Witteberg. Merry Christmas! 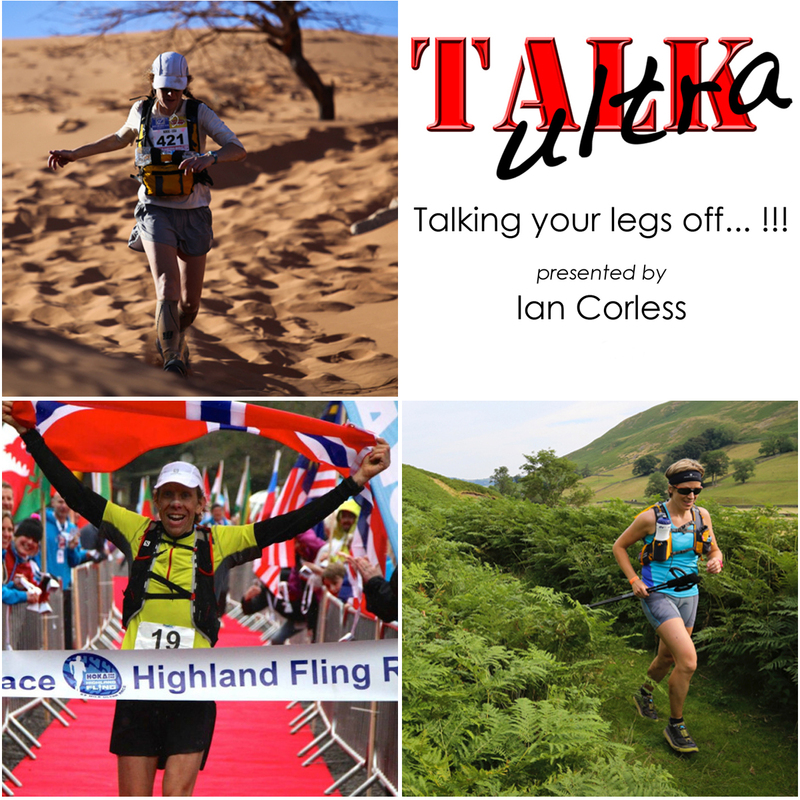 Episode 51 of Talk Ultra is our longest show yet… yes, 4hours and 30mins of ultra chat to help you survive the Christmas period and New Year. We speak with the new 100-mile and 12-hour record holder (on a track) Zach Bitter. 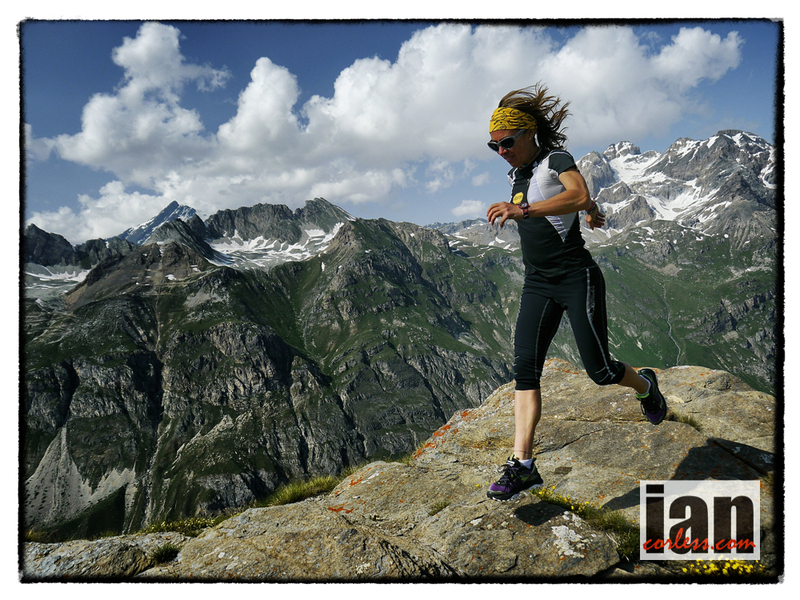 We have a full and in-depth interview with female ultra runner of the year (?) Michele Yates. Anna Frost provides an insightful interview on a troubled 2013 and finally we catch up with Ed Catmur who has been setting the pace on the UK ultra scene. It’s a full show! Speedgoat and Ian review the year, we have possibly the best Talk Training of 2013 with Marc Laithewaite and we catch up with Amanda in a Year in the Life of! A big thank you for all the amazing support and downloads in 2013 and we thank you in advance for your support in 2014. The 240km Coast 2 Kosciusko r! 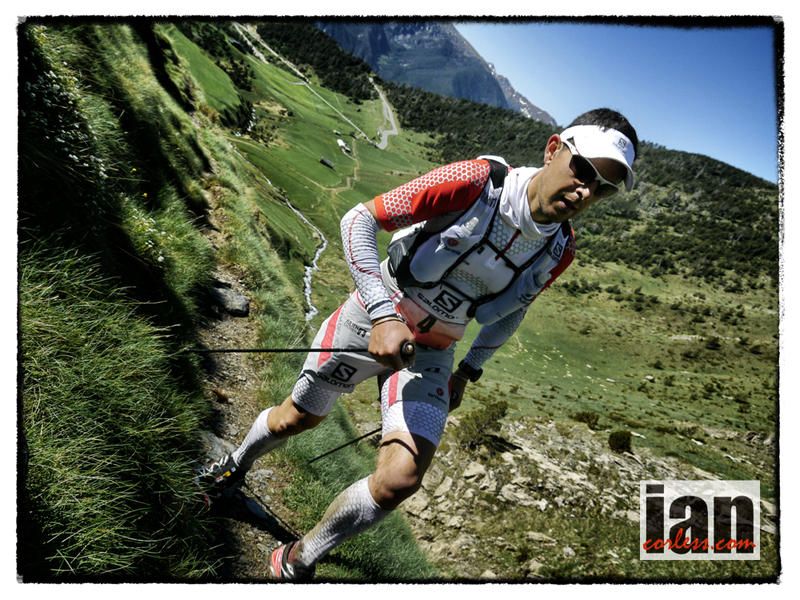 Kilian Jornet – everything! But maybe the Matterhorn record a highlight? What an amazing time to be involved in the sport of ultra running! The once niche minority sport has exploded to greater heights and distances in 2013. No longer is a long beard and ‘Buff’ a pre requisite of ultra running (unless you’re Rob Krar). Clean cut, young, fast is the new ‘ultra runner’ mixing it up with the old guard. Just think back to this time last year, had you heard of Zach Miller (not the Zach Miller, but, the Zach Miller; confused? ), Michele Yates, Rob Krar, Magdalena Boulet and Xavier Thevenard. Racing and the opportunity to race has also increased to the extent that it is now possible to race pretty much week in and week out for 12-months of the year. Of course, this brings pluses and minuses, certainly from an elite level, runners need to be far more savvy and race clever. You can no longer race month on month and expect to win. Races now have much higher quality fields and the pace is going up. 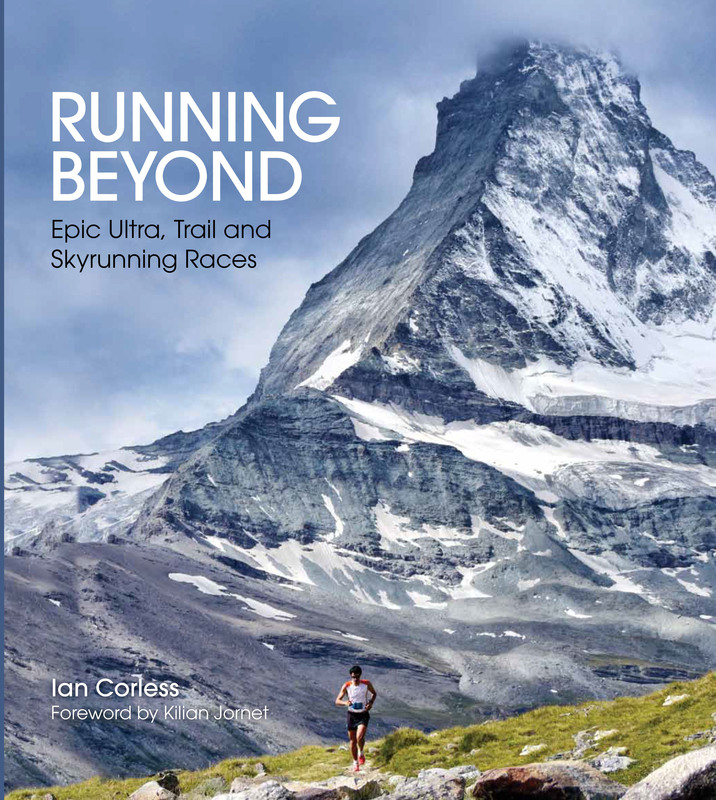 The growth of Skyrunning has been instrumental in enticing a world audience to test runners of all abilities on tough, technical and high-terrain and the feedback has been incredible. UTWT have launched a series of races above the 100-km distance and in doing so have created a ‘trail’ circuit that offers multiple terrain in multiple locations all over the world. It will be interesting to see how the inaugural year goes when 2014 comes around. So, what are the highlights of 2013? Lets start with Rob Krar. I interviewed Rob just after his incredible ‘FKT’ in the Grand Canyon early in 2013 when he put the Rim-to-Rim-to-Rim record at another level. At the time we discussed Western States, he was intimidated by the ‘Super Bowl’ of ultra and his first 100-miler. “I’ll give it a shot and see what happens”. Well, if you hadn’t noticed Rob pre WSER you did afterwards. Your not supposed to run WSER and get 2nd overall in your first attempt. UROC, Ultra Race of Champions was the final of the Skyrunner Ultra World Series and for some reason they had bestowed upon themselves the title, ‘The Ultra Running World Championship’. Mmmmm well, it certainly had a quality field but ‘World Championship’? I don’t think so. In the end it came down to a head-to-head between Dakota Jones and Rob Krar. Dakota looked as though he had it sewn up but on the final descent, Rob unleashed a pace that Dakota went on to say was ‘just crazy’. Rob took the win and a pattern was forming. We were all a little surprised to see Rob’s name on the start list for JFK50, primarily with TNF50 in San Francisco just two weeks later. As it happened, Rob dropped at around the 41-mile mark and went on to say that it was either ‘a great training run for TNF50 or the worst decision he had made in a while.’ It was a great training run! Rob ran a super calm, collected and mature race in San Francisco and when he took the front in the last fifth of the race he released a pace that was just incredible. Without doubt my ultra runner of the year! Of course, you can’t talk about male ultra runner and not mention Kilian Jornet. Kilian is a phenomenon. He is the star of our sport. 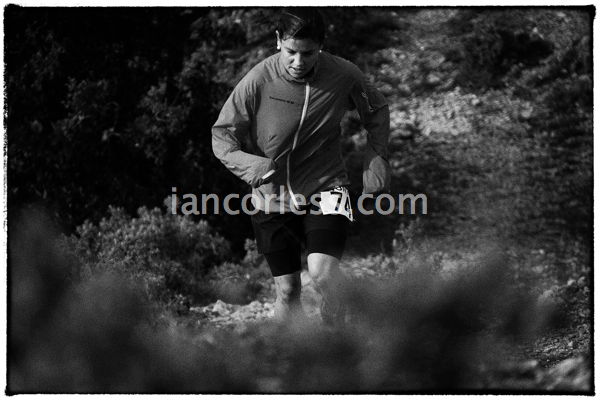 Once again he was crowned Skyrunner World Ultra Series Champion with wins at Transvulcania and Ice Trail Tarentaise. In addition to this, Kilian was also champion of the ‘Sky’ series with 4 wins; Zegama, Mont-Blanc, Matterhorn Ultraks and Limone Extreme. Add this a couple VK’s, a win at Canazei Sky race for the European Championships and a win at Trans D’Havet for the ‘Ultra’ Skyrunning European Championships and you would say the deal is done! But wait-a-minute, we haven’t mentioned his records for his ‘Summits’ project. 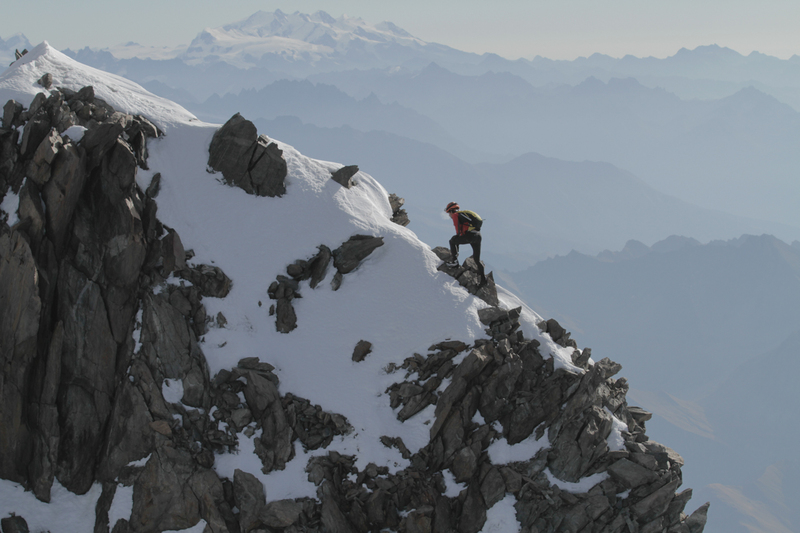 A stunning new FKT for Chamonix-Mont-Blanc-Chamonix but arguably THE highlight of the year was his Matterhorn Summit. It was a sublime and surreal performance that put going to the mountains light on another level. It was without doubt my ‘moment’ of the year. 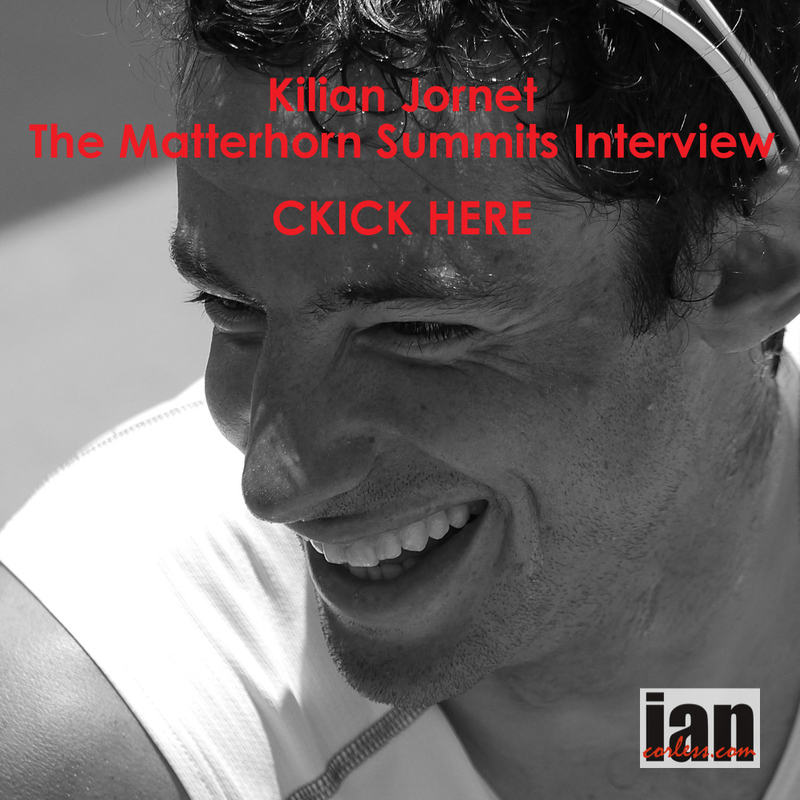 You can read my ‘Matterhorn Summits Interview’ with Kilian here. Kilian is the most complete athlete I know. Pam Smith victorious at Western States turned up at the Desert Solstice track meet run by Aravaipa Running and not only took out the win for 12-hours on the track but set a new female record for 100-miles, 14:11:26. Take your pick, Michele or Pam; it’s a tough call. But wait a minute, what about Emelie Forsberg. Emelie arrived on the run scene in 2012 and instantly had success, continually placing top-3 with Anna Frost and Nuria Picas. However the break through moment came ironically this time last year, she won TNF50 in San Francisco. 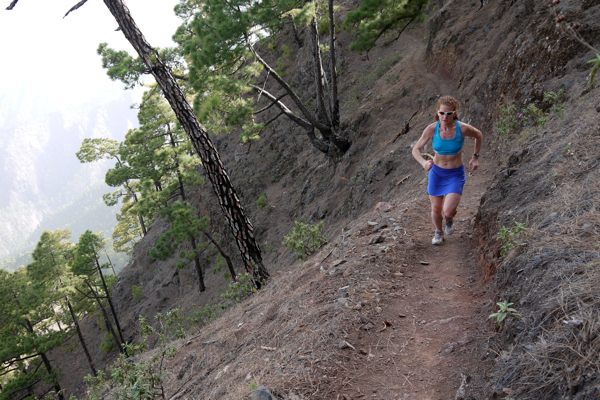 This seemed to change everything, Emelie arrived at Transvulcania in May 2013 and won, she followed this up with a win in Zegama, Canazei, Ice Trail Tarentaise, Matterhorn Ultraks, UROC and then went on to run her first 100-miler at the super tough Diagonale de Fous (Raid de la Reunion) and place 2nd. Do you want to vote against Emelie? Rory Bosio blasted around the TNFUTMB course and in the process not only obliterated the female record but placed 7th overall. Her performance was nothing short of miraculous. I have already mention Kilian and the Matterhorn but it was so good I am mentioning it twice! Timothy Olson went back to Western States and won again. You can win a race once but going back and doing it again is always a true sign of a champion. Seb Chaigneau took a win and CR at Hardrock 100. Nickademus Hollon became the youngest person ever to not only complete Barkley but also win it. You can listen to his interview on Talk Ultra here. Julien Chorier produced a sublime and calculated performance at the super tough Ronda dels Cims. It was a joy and a pleasure to watch someone control and dominate a race from the front and look good all the way. Sage Canaday, jeez I missed him out and he definitely deserves a mention for Bandera, Tarawera, Transvulcania (3rd), Lake Sonoma and Speedgoat 50k. Francesca Canepa once again had an incredible year with a great performance at Ronda dels Cims but arguably a repeat win at Tor des Geants places her well and truly at the top on ‘endurance’ lady of the year! Iker Karrera nailed Tor des Geants. Ricky Lightfoot went over to South Africa and raced at The Otter and not only won but put the course record at a new level, in addition he won the IAU World Title in Wales. Xavier Thevenard took everyone, including himself, by surprise at TNFUTMB with a controlled and impressive performance against some top competition. Jez Bragg completed the Te Araroa in New Zealand. An incredible journey from the northern tip of New Zealand all the way down to the southern tip. Listen here. David Johnston completed the Iditarod trail Invitational in 4 days 19 hours 13 mins.Crazy fast. Ian Sharman and Nick Clark went head-to-head in the Grand Slam of Ultra Running and produced possibly the most exciting competition of 2013. The pair of them produced incredibly consistent performances and showed us all that it is possible to race four 100-milers back-to-back. They didn’t only ‘complete’ but they competed. They both won a race and were never out of the front rankings. Ian Sharman ultimately had the icing on the cake with the overall fastest time and a new Grand Slam record. Respect! Interview with Ian Sharman here. Paul Giblin at the West Highland Way race. 15:07 and good beating of Terry Conway’s previous CR. 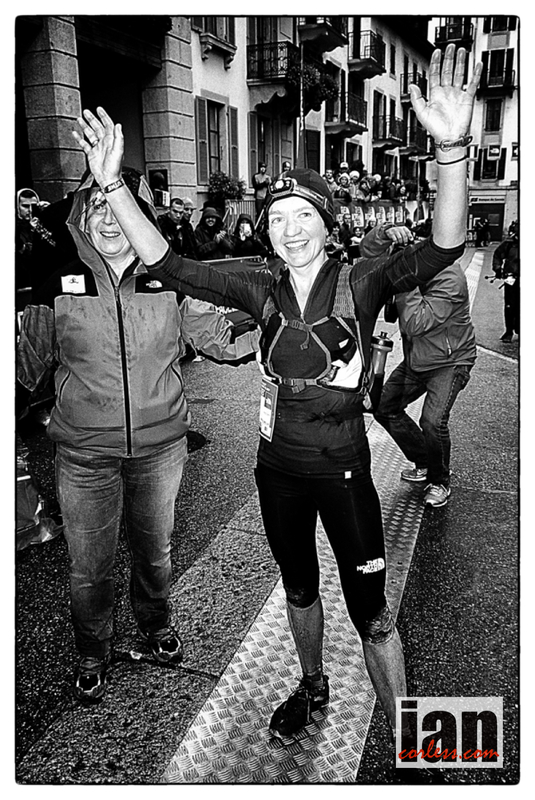 Stevie Kremer doesn’t do ultras but she is a darn fine trail and mountain runner and what ‘Pocket Rocket’ achieved in 2013 is nothing short of miraculous. Can’t wait to see what 2014 has in store. Ed Catmur has continued to knock out some great 100-mile performances on the GB scene with wins at North Downs Way and the Winter 100. 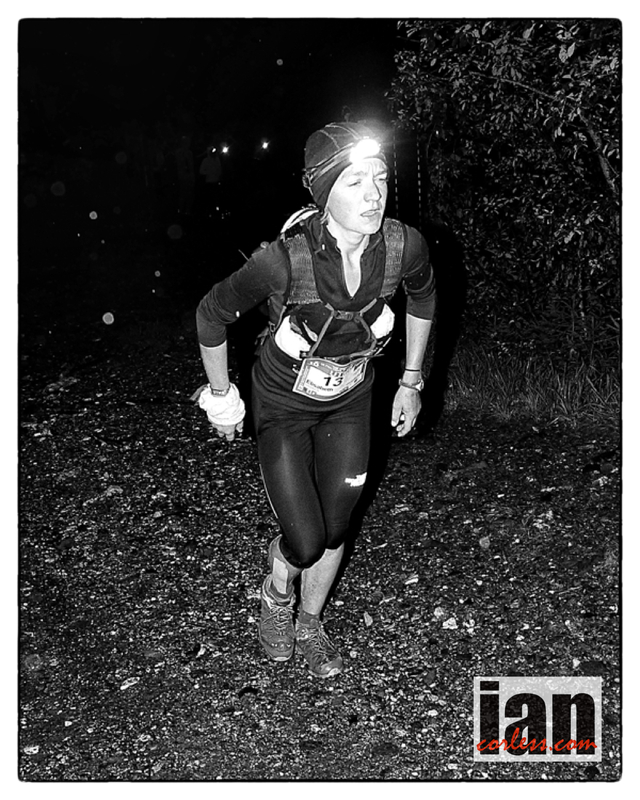 Lizzie Wraith new female CR for the Lakeland 100 in the UK. William Sichel keeps running and running crazy distances and setting new records. Jonas Buud didn’t win Comrades in 2013 but he ran one of the best paced races I’ve ever witnessed. He was way back in the late 30’s and slowly moved up to 3rd. Wow! Notable mention to Brit ladies, Joanna Zakrezewski and Holly Rush who placed top-10. Rob Krar – Just one word sums up the bearded warrior ‘Krarnage’. Zach Miller – no, not Zach Miller, but Zach Miller. Zach rocked up at JFK50, nobody knew him and he didn’t know anyone else. He took over the lead when Rob Krar dropped at mile 41. Not only did he win but also he set the 3rd fastest time ever. Interview with Zach here. Xavier Thevenard – TNFUTMB was going to be won by Anton Krupicka, Miguel Heras, Julien Chorier, Seb Chaigneau or Mike Foote. Somebody should have told them all about CCC winner, Xavier. Michele Yates – wow, what a first year in the ultra world. Cameron Clayton has found his feet, 2013 had some mixed performances but when everything aligns he races with the best. 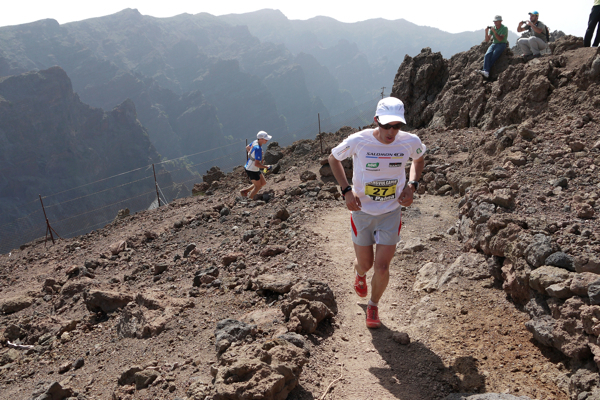 His Transvulcania, UROC and TNF50 performances without doubt elevates him to ‘hot’ for 2014. Luis Alberto Hernando pushed Kilian close at Transvulcania, Zegama, finished joint first at Trans D’havet and won at Cavalls del Vent. 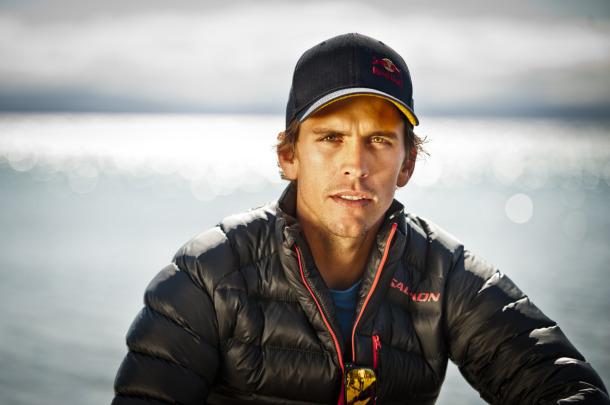 In 2014 he plans to race TNFUTMB, now that will be interesting. 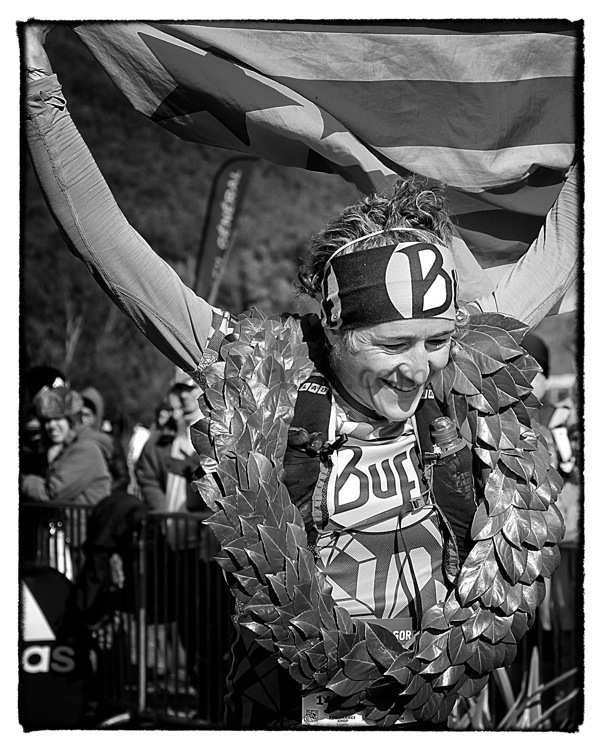 Magdalena Boulet had an ultra debut at TNF50 and placed 2nd. This sub 2:30 marathon runner may turn a few heads in 2014. Brit, Stuart Air may raise a few eyebrows in 2014. 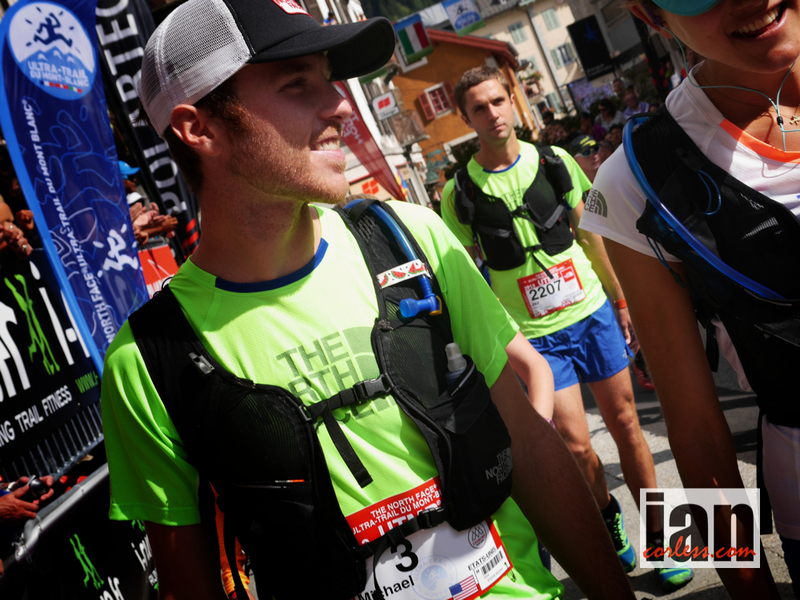 He had a solid Ronda dels Cims, Ice Trail Tarentaise and Tor des Geants and for 2014 he has a Hardrock 100 slot! Hardrock 100 had it’s draw and suddenly much of the WSER ‘lottery’ chat shifted focus to the field up at Silverton. The 2014 race is a classic in the making with Kilian Jornet, Sebastian Chaigneau, Julien Chorier, Joe Grant and more. Excited? Just a little. The Skyrunning World Championships take place in Chamonix with runners from all over the world coming to race VK, SKY and ULTRA in one of the endurance capitals of the world. Beards – the jury is out. Are beards fast or slow? Rob Krar, Timmy Olson and ‘Clarky’ are certainly great advocates for hairy running but Kilian, Cameron, Sage provide a strong counter argument. What are your thoughts? A review of any year is going to be personal. Without doubt we will all have our own highlights and favourite moments, so, I would love to read your thoughts. On a personal note, 2013 was an incredible year, I feel blessed with all the opportunities I have had. To witness many of the moments I write about is a great pleasure. Of course, it’s nothing without you folks reading, looking at my photographs or listening to my podcast. A very BIG thank you from me. I cant help but hear ‘Speedgoat’ Karl Meltzer in my head… jogging along allowing all the fast guys to shoot of in search of the $10,000 first prize and singing the song aloud. It happened last year (not singing the song, but allowing the others to shoot off) and look what happened. One-by-one they fell by the wayside and the old goat himself reeled them in and schooled them all on how to run a 100-miles. Karl should know; he has won enough. Once again he is playing down his chances of winning the 2013 edition RRR. In last weeks Talk Ultra (Ep43) we discussed at length his form and reading between the lines, I know he is ready. 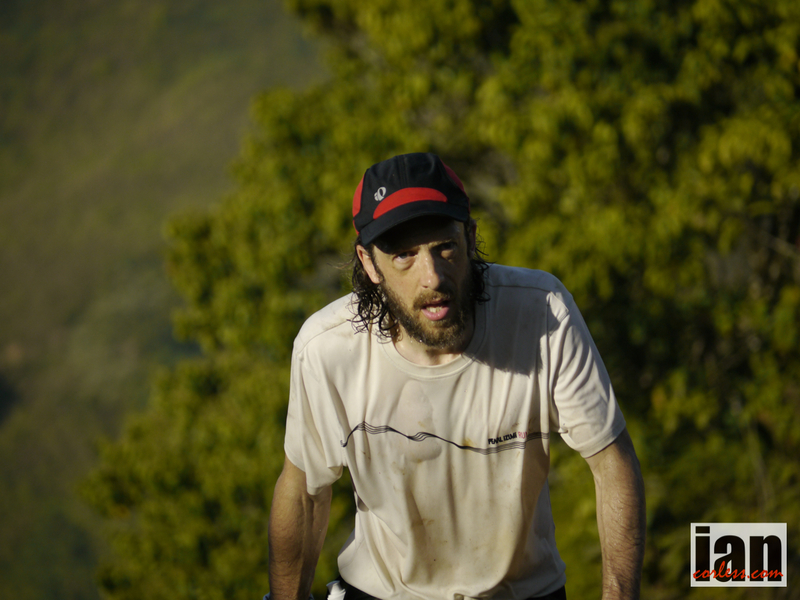 He wasn’t ready at Western States early in 2012 due to niggles and still pulled out 10th, however just a few weeks later, just like Seb Chaigneau at TNFUTMB, the exertions of a tough 100 at WSER took its toll and he dropped from Hardrock 100. Joe Grant also had a troublesome Hardrock 100 and although he was super motivated to top the podium he just didn’t have the right day. It may very well have been his early season Iditarod still making demands on his body or ultimately, it may have just been a bad day! However, he seems to have got his head in a great place and certainly his recent trip to Europe as support and crew for Anton Krupicka has given him a new lease of life and all those mountain miles may well transfer to something special at RRR. Ever present force over the 100k distance, Dave Mackey will hope to bring that speed to RRR and pull off a win at 100-miles. Although he has had some good 100 performances, notably 2nd at WSER, he has never quite hit the nail on the head like he has done over the shorter 100k-distance. He nearly rectified this at San Diego 100 earlier this year but unfortunately that went pear-shaped due to course errors. He is due a win! Jason Schlarb I am pretty sure will be looking to put the record straight at RRR this year after a great start to the 2012 race that went completely problematic and frustrating due to going off course. For me, he is the dark horse of the favourites and don’t be surprised if he leads early on but manages to hold on! Timothy Olson gets my final mention. Yes, I am mentioning Timothy last. Not because I don’t think he can win but you have to consider his season and because just the other week he placed 4th at TNFUTMB. I am pretty sure the $10,000 first prize is the attraction here and that has to be a motivating factor. However, he dug deep at TNFUTMB and used all his physical and mental reserves to reach the line. It could go either way for Timothy at RRR. Irrespective of what happens, he has had a great year with results at Tarawera, Transvulcania La Palma and of course, the defense of his WSER crown. Behind this front five is a group of runners just waiting for the opportunity to steal the carrot from the other Rabbits. Keep an eye on Jeff Browning, Jason Loutitt, and if Dave James is in a good place, he may well push the others for the podium. The ladies race is potentially a little more open than the men’s race however; it does have some key names that stick out. In particular a rejuvenated and in-form Nikki Kimball. 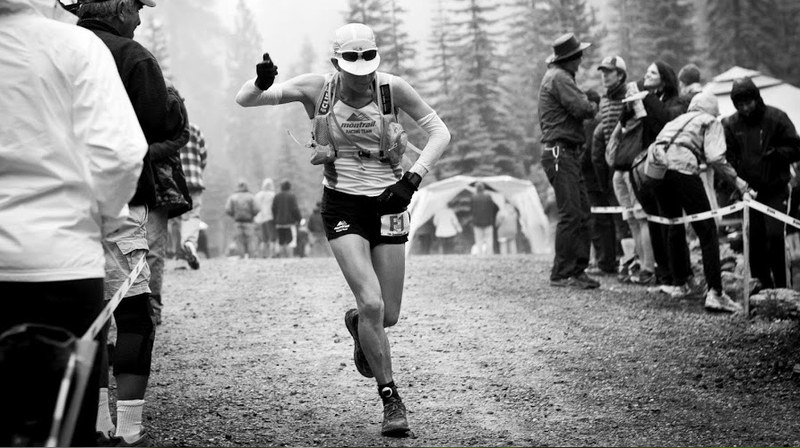 I interviewed Nikki after her incredible 2nd place at the 2013 Western States and for sure, she has found a new balance. She is racing less and when she races, she wants to perform. Her lining up at RRR can only mean one thing! Darcy Africa is another hot ‘fave’ for the RRR crown coming from another great win at Hardrock 100. She is consistent over the longer distances as her 2012 season shows. Without doubt she will be pushing the pace at the front here! I predicted Cassie Scallon would have a great race at WSER based on her performances over shorter distances and her natural speed. However, the big dance didn’t go well and she is untested at 100-miles. I still think we will see her rectify the situation in Steamboat Springs and contend for a podium place at least. One-to-watch goes to Jennifer Benna. She ran a great 100 earlier this year and then went to Transvulcania La Palma but pulled out early saying things just didn’t feel right. WSER didn’t go well either so redemption is required at RRR. Finally, last years 2nd place at RRR, Rhonda Claridge returns and with another solid performance at Hardrock 100 she will be looking to move one place higher and take home the $10,000 pot. Jeez, I missed Pam Smith. Thanks Speedgoat. For sure, Pam Smith coming from winning the 2013 Western States changes the dynamic of RRR and she will be gunning for the win. Of course Pam will be the one who all the ladies will be watching. Her main priority will be ‘chicking’ Speedgoat again though and of course taking the big bucks! Race Line up is here if you’d like to point out any contenders for the podium. Lizzy Hawker is arguably one of the greatest female runners of all time. She has transcended what we all think is possible in running. Her versatility over multiple distances and terrain has without doubt made her one of the most respected ultra athletes of all time. 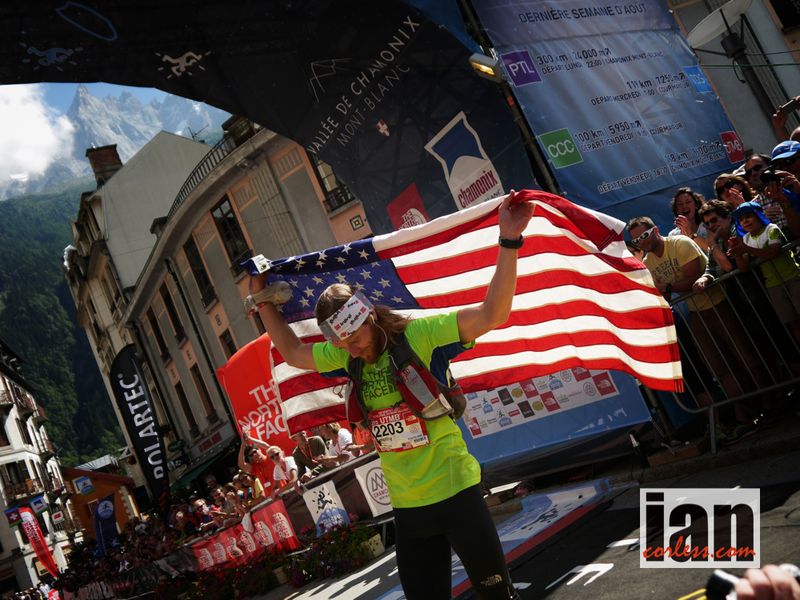 She has dominated the UTMB, she is a 24-hour champion and she has set numerous course records. I was fortunate to catch up with Lizzy in early 2013. She had just had a very successful latter half to 2012 but was recovering from an injury before embarking on another full year of racing and personal challenges. IC: Lizzy, it’s a real pleasure to finally chat, we have been trying to coordinate this for sometime. Firstly, can we go back to how you got into running, you say you always remember running but at what point did you realize you had ability? LH: Well going back, I can’t remember NOT running. I guess we all run as children, you know, just running around. I always remember at school that I preferred running in contrast to netball or similar sports. I don’t know how really but it just became normal to run everyday. It was only for fun though. It never crossed my mind to race or join or club. It was just my way to be outside and in nature. It was a balance to school, university and all other distractions. It’s just something that has always been there for me and I don’t think it was really until 2005 when I entered a couple of long races that I realized that I had something that I should really pursue. IC: Pre 2005 is that when you where travelling doing expeditions. You were in Antarctica. An Oceanographer, yes? LZ: I was actually finishing off my PHD and then I had a job with the British Antarctic survey. IC: Running was very recreational then, a way to keep fit? LZ: Absolutely, it was my way to be outside and an escape. IC: Did you do any competitions, half marathons, marathons etc.? IC: How was that, how did it go? LZ: I enjoyed it but my time wasn’t special. IC: Wow, considering how fast you now run that was a humble beginning. Nice for us all to hear… 3:40 for many is a good time but it was a very modest start for you. How did you progress? LZ: From London a friend suggested that if I love hills then I should do a marathon in a hilly place, you know, somewhere nice. So, I did Snowdonia marathon in Wales for a few years and then the same friend suggested going ‘off-road’. You know, going across hills instead of around them. So, I entered the Welsh 1000’s. Because I didn’t have fell-running experience at all, I couldn’t enter the fell class, so, I was in the mountain class. It meant a heavy pack, long trousers and walking boots. I enjoyed it and did it a couple if times… that was the only experience I had prior to 2005. IC: In 2005 what changed, what was it that you then did that paved the way to were you are now? LZ: Two things really. I was visiting friends in South Wales to escape my PHD for a weekend. They were running a 40-mile track race in Barry. So I just entered it. Primarily because they had. I think that was March and then I was selected for the England team for the UK 100k champs. That was based on my time at the 40-mile race. The 100k was a month later and in-between that I went to Turkey to SkiMo (Ski Mountaineer). Not conventional prep! 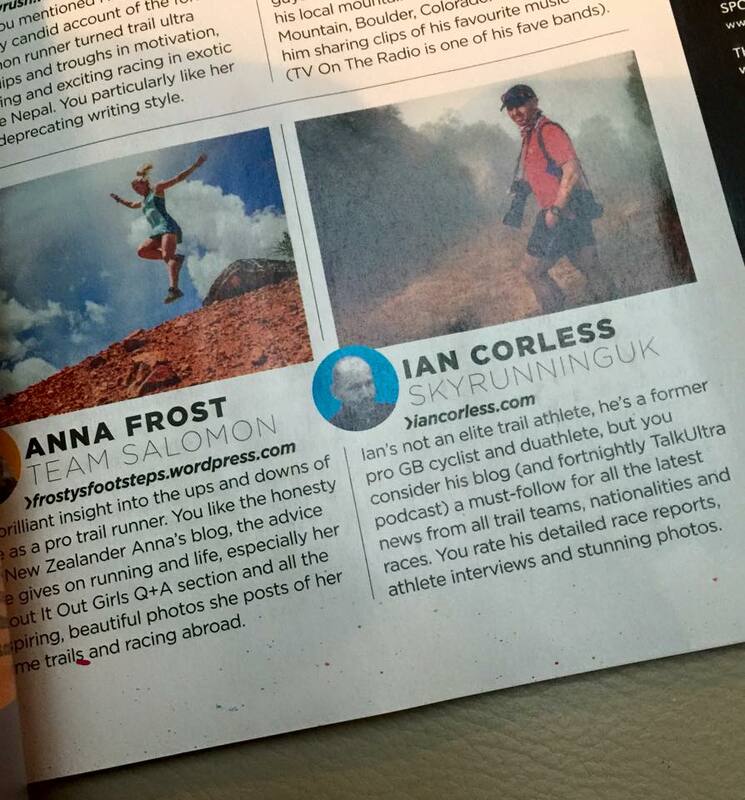 Also, I had read an article about the Ultra Tour de Mont Blanc (UTMB). UTMB did not have the prestige it has now and it had no wait list, so I entered. I was due to finish my PHD and it was a great excuse to go to the Alps. I would goo climbing and then race at the end. That was my first mountain race. IC: So in 2005 with little or no experience, you go to UTMB. That is quite a step up eh? LH: I had no idea what I was letting myself in for. I had nothing to gauge it against. I had no idea even if I would get back to Chamonix after starting. I certainly expected not to make one of the cut offs… I was on the start and I thought about a quote from Alice in Wonderland, you know, the one about starting in the beginning and stopping when you get to the end. That was my goal. To start and keep going until I stopped or was stopped. IC: What was that first experience like? LH: I loved it. I started in the masses. I was way back at the start. I was on the Church steps way back from the front. It was a long long time before I even started to run. Just the sheer number and volume of people slowed everything down. I can remember, after about 15 to 20k I was somewhere between about 500/600th place. I actually finished 25th or 26th overall by the time the end came. I just worked my way past everyone… I just loved it. It was my first experience of running at night and I can remember after one of the feed stations, I was running up a climb and I could feel the beauty of the mountains. I knew then that I would have to go back. Yes, it was magic. IC: Ok, yes, five variations of the race! We spoke after the 2012 finish and you said you still had unfinished business. You want that ‘time’* on the course. Will that mean you will be back? 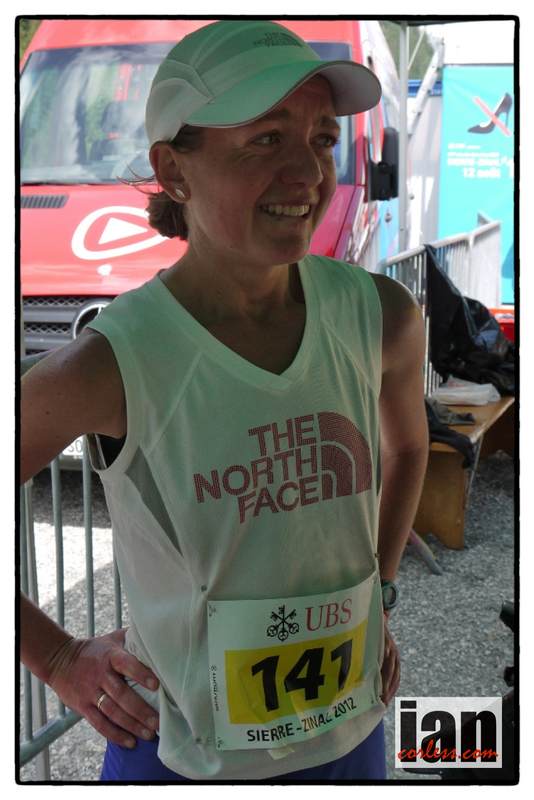 *Lizzy is very keen to set the fastest ladies time in the UTMB course. LH: Yes, I am mulling over my plans. 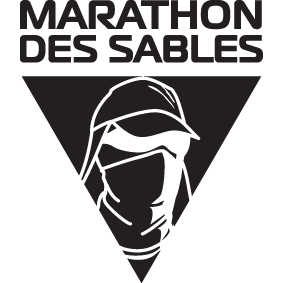 I can’t confirm for 2013 but I almost certainly will be back to UTMB, if not this year then maybe next. I do have unfinished business. IC: Do you think the plans that the UTMB organization have made for 2013 and moving forward to correct issues* in the past will work? *by issues, we refer to the race being shortened due to unpredictable weather. LH: I don’t know. What I would like to see is a sliding start time. So that they have the possibility to bring the race forward or delay by 24 hours, this will allow for good weather windows. I am not sure how that would work with the other races (CCC and TDS) going on but it seems to me that the weather systems work through quite quickly and this window may very well be ideal to allow the full race to go ahead. We want the race to be as it should be, a full tour of Mont Blanc. That is 160km. If I were taking time of work, paying money to get there, I would much prefer to add one extra day either side and have that possibility to race for what may very well be moderate additional expense. I don’t think they (UTMB organization) have taken this as an option but it is what I would like to see. IC: I think many would agree with you. The race is a ‘tour ‘of Mont Blanc. Not a 60k, 100k or 140k. You want to go back and do the race and get the time* but your variety of races are extreme, you know, you run on the track, you run on the road, you run mountains, you run trail, you do multi stage, how do you apply yourself in your training, do you literally just go out and run and enjoy it? LH: Pretty much I guess. I think over the years I have kind of built up a high level of base endurance so depending on the race I am targeting next I kind of focus training to that specific event. But because of the way I came into running, running was part of my daily routine. I wanted to be outside, I wanted to be moving and I just love running, So, that is really the backbone of my training even now I guess. I just like to run. IC: For someone who loves the mountains so much, You are passionate about Nepal for example, what is it in your mind that allows you to run on a 400m track, time and time again for 24 hours? LH: I haven’t done that yet! IC: Yes I know that, but I am curious what it is within you that will allow you to do this? LH: I can remember back to my first track race in 2005. I hadn’t been on a track since school. It was funny, I couldn’t get lost, I couldn’t fall down a crevice, I had no avalanches to think about and it basically just simplified the process. I could think about the running movement. I could just focus. Almost like meditation. IC: Do you use meditation when running? LH: I use mediation for it’s own sake. But that is just during the last 12 months or so. But I have realized that most of my running is kind of a meditation. Or at least it is my quiet time. Time alone with myself. Not every case obviously but when I am alone it is a relaxing and spiritual time. IC: I followed you at UTMB in 2012. I had the benefit of being in the feed stations with Keith (Lizzies crew from The North Face). You would arrive; Keith would have everything laid out. It looked planned with a definite strategy. Get you in and out ASAP. But I remember you said to me that it isn’t that planned. LH: No not at all. I never know what I want but if I have the options I can choose what I want. I need to move through as quickly as possible. IC: Do you find that you turn yourself off? Do you almost become metronomic? LH: Not really. It’s a body and mind connection. It has to be very strong. You need to know what is going on; particularly with your body but at the same time you need to be able to cut pain off. You need to hang on in and sort it out. It’s two sides of the coin if that makes sense. IC: If we look at your achievements, UTMB, 100k champs, 24-hour world record and in 2012 you had a golden period… UTMB, Run Rabbit Run and then Spartathlon. If we look at all these things, what are your highlights? LH: Ultimately it is the running. It is an essential part of my life. The races are stepping stones within that. I think it is funny though, I look at what you call the ‘golden period’ and I don’t feel I raced at my best! I could have done so much more… It is kind of funny; I am always trying to improve. Go faster, go longer. I want to be so much better. I was happy with those three races but I felt I could have given more. IC: Lets take Spartathlon. It is an iconic race in the ultra calendar. 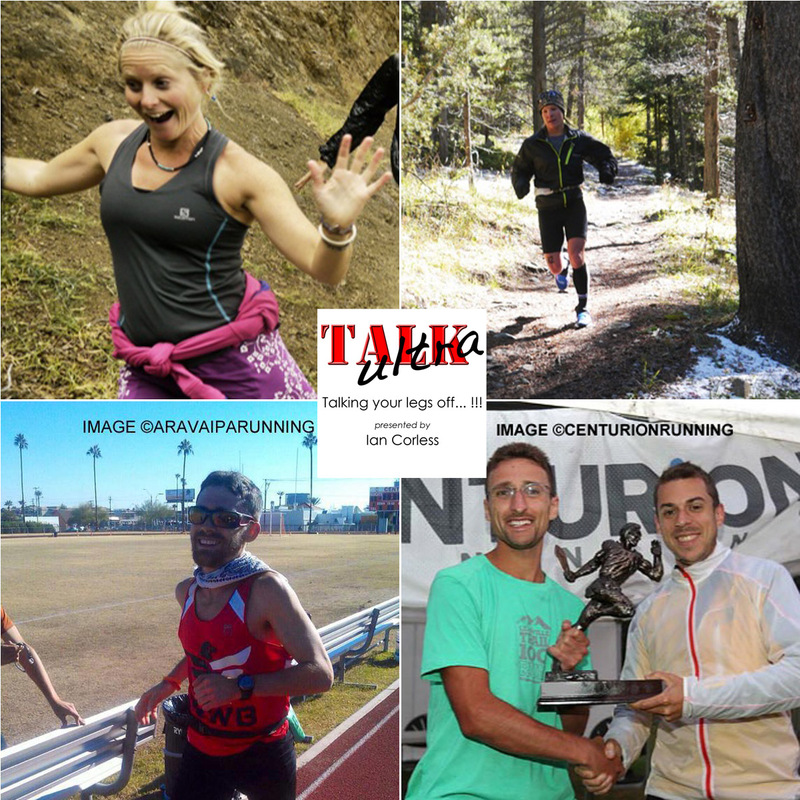 It is a race that has a different variety of people who take part, we often look at that race as giving some significant performances, and for example we talk about Yiannis Kouros and Scott Jurek. You raced for the first time in 2012. Did the race live up to its billing? LH: It is an iconic race. The atmosphere is amazing. The route is not that wonderful, not so much the route but the fact that you are on busy roads and they don’t close them. I had times during the night with lorries passing me that were less than comfortable. It is an incredible race to be a part of though. IC: Of course you had a pretty darn good race. You set a women’s course record, you were on the podium overall but yet you say it wasn’t good enough! Did you want to win outright? IC: Funny. I love the standards that you set yourself. Will you go back? LH: Yes, I am not sure in 2013 but I will go back and try again one year. IC: After Spartathlon I guess you had a cleansing period in Nepal. You did Manasulu Trail. Is that type of race more for you, a personal race? LH: Half and half. Of course, I love to be in Nepal. Nepal gives me so much back, to be in that place is rewarding but those Nepalese guys can really run, it is not easy. IC: I love you say that you mention the men and the fact that you are not racing the women. LH: It’s a small race! IC: Yes, but women usually race women. You always race for the overall instead of racing for first lady. Are you very competitive? LH: I guess I am competitive but the competition is within. I want to be the best I can be. I can win a race and not be happy or I could come way down the field but be happy because I did my best on that day. That is the way I feel about racing. It is a personal thing. IC: You love Nepal. You attempted a full crossing, which unfortunately didn’t go to plan… you lost your sat phone amongst other things! IC: Will you try again; I know the rules have changed on how you can now do these crossings? LH I definitely want to go back. It is my dream journey. To cross the Himalayas keeping as high as possible and moving fast is what really motivates me. I would love to go back. IC: How long is that journey? LH: Yes, a pretty long way. IC: A race has been announced that will take this whole route for 2014. LH: Yes, Spring 2014 and 2016 I think. IC: Is that of interest to you or would you prefer solo? LH: I can do both! (Laughs) I still want to do my solo journey because it will be so different. The race will miss the high passes. You can’t really compare the two. They both have validity and I would like to do both. IC: 2013 is here, what does it have in store for you? LH: Good question. I am mulling that over. Nothing is definite, not that it ever is. I am formulating race plans at the moment. IC: Western States, Skyrunning, and UTMB? LH: Ronda del Cims 100m Skyrunning race is looking very likely in June. I hope to do Hardrock 100. I am on the wait list so I hope to race. IC: You are high up on the wait list for Hardrock 100 if I remember correctly? LH: Not sure it is high enough though? I will try to do those two and then we shall see what the rest of the year holds for me. IC: Ronda del Cims is a tough course. It has plenty of climbing and altitude. LH: Yes. I am looking forward to it. It will be a real challenge and a great race. IC: Well Lizzy as per usual, it has been an absolute pleasure to talk to you. Without doubt you are an inspiration to all. I really appreciate your time and I look forward to seeing you and following you around the Ronda del Cims course in late June. LH: Thanks so much Ian. Australian Pat Farmer finally made it to the South Pole after starting at the North Pole (view here). Pat is a multiple world record holder for endurance running. He has run around Australia and across North America twice. Salomon launched the Sense. A shoe that created a stir and a buzz that could only be compared to the same sort of buzz around an iPhone, iPad or equally another key moment of 2012, the Suunto Ambit. Ryan Sandes arguably one of the best ultra performers in 2012 started of his year in style with a win at the Vibram 100km in Hong Kong. Micah True passed way from heart related issues while out running in Mexico. The ultra community bonded together as initially he was lost for days causing Scott Jurek and Chris McDougall (Micah was made famous in the book ‘Born to Run‘) to travel to Mexico and aid the search for him. Jez Bragg won the Fellsman race for the 3rd time in preparation for his attempt on winning the UTMB. Unfortunately Jez was plagued throughout 2012 with stomach issues. We are pleased to say that he now seems to have rectified these issues and is currently blazing a trail on ‘The Long Pathway‘ in New Zealand. Kilian Jornet announced his new project ‘Summits of my Life‘. A long term project that will take four years, during which he will travel to the greatest mountain ranges in the world attempting to climb some of the most breathtaking peaks and come back down again as fast as he can. Unfortunately on the first project, the crossing of Mont Blanc, the project was struck with disaster as Kilian’s ski guide and partner for the project, Stéphane Brosse fell to his death. Kilian devestated by the incident spent time with Stéphane’s family and withdrew from Western States. The big dance, Western States did not disappoint with two incredible performances and two course records. Timothy Olson beat Geoff Roes record with an incredible performance made all the sweeter when you hear his incredible life story… (listen to our interview on Talk Ultra) Ellie Greenwood confirmed herself as possibly the greatest female ultra runner of the moment breaking Ann Trason‘s long standing (considered by many unbeatable) course record. Dakota Jones after a storming win at Transvulcania La Palma went to Hardrock 100 as the one to beat… as it happened, Hal Koerner took the win with Joe Grant in second place. Speedgoat 50K raised the question about trail, course markings and when and when you should not deviate from a course… ultimately our one and only Speedgoat made a decision that relegated Kilian Jornet from the top of the podium and replaced him with his team mate Rickey Gates. It all got a little crazy and of course RD’s will now make sure they specify the ‘rules’ when putting a race briefing together. 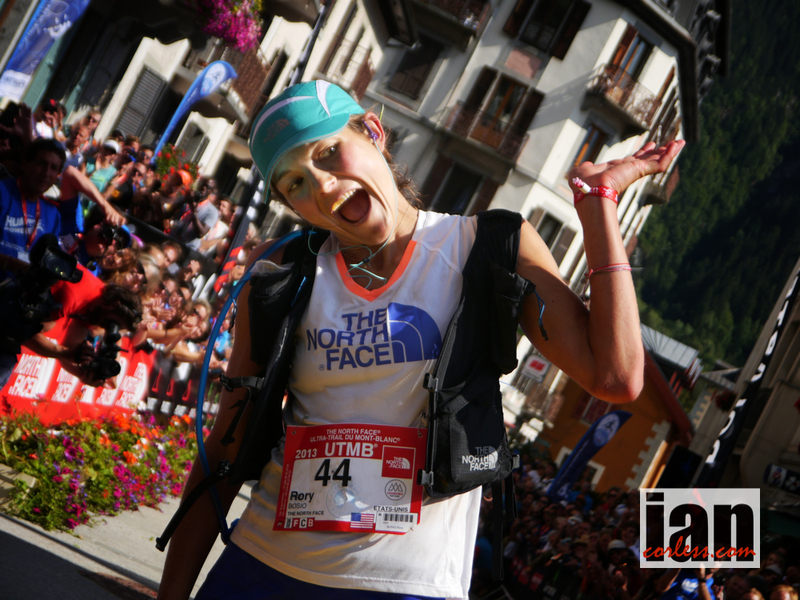 UTMB – It rained, it snowed, the cloud came in, the course got shortened and Lizzy Hawker won her fifth UTMB albeit NOT the UTMB as it was not a full course, so, Lizzy will be back! Francois d’Haene however was very pleased with his win over the shortened course. Just a week after the UTMB, Francesca Canepa from the Vibram Team turned up at the super tough and long Tor des Geants and won it… amazing considering just 7 days before she was second behind Lizzy Hawker. Lance Armstrong… need I say more! Mike Morton had an incredible 2012 with a stunning performance at Badwater 135 just missing the CR by 75 seconds. In addition to this, Mike ran and won may 100’s all around the 13 hour mark. However his performance of the year came in Poland at the 24 hour Championships. 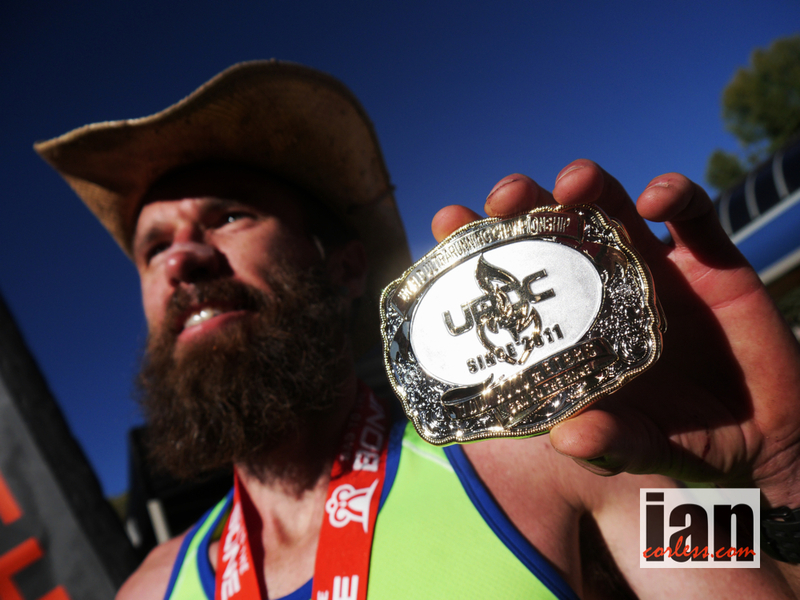 Running 277.54 kms he dislodged Scott Jurek as the Amercan holder and set a new benchmark. Fresh from a record attempt over Mont Blanc, Kilian Jornet went to Mt Kinabalu Climbathon in Borneo as part of the Skyrunning calendar, won and became World Champion…. again! Of course this race had some controversy as it didn’t go to the summit. Another outstanding performance was that of Emelie Forsberg, she won the ladies race and in doing so confirmed herself as one of the most talented and dominant females of 2012. 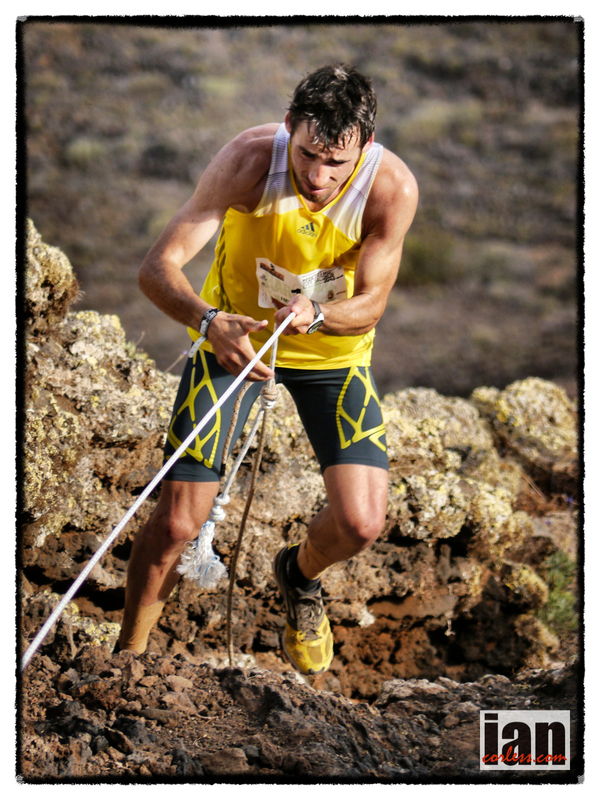 Kilian now warmed up went over to Reunion Island and took on the tough ‘Raid de la Reunion‘. He made it look easy and he even had time to do interviews at the feed stations during the race… without doubt, Kilian is one of the most talented and gifted athletes in the world. Max King and Ellie Greenwood blazed a trail and set records (once again) at JFK 50… oh, did I mention Max’s run at UROC and did I mention Karl Meltzer and Lizzy Hawker winning at Run Rabbit Run… of course, what about Miguel Heras and Emelie Forsberg at San Francisco 50. Darn it…. 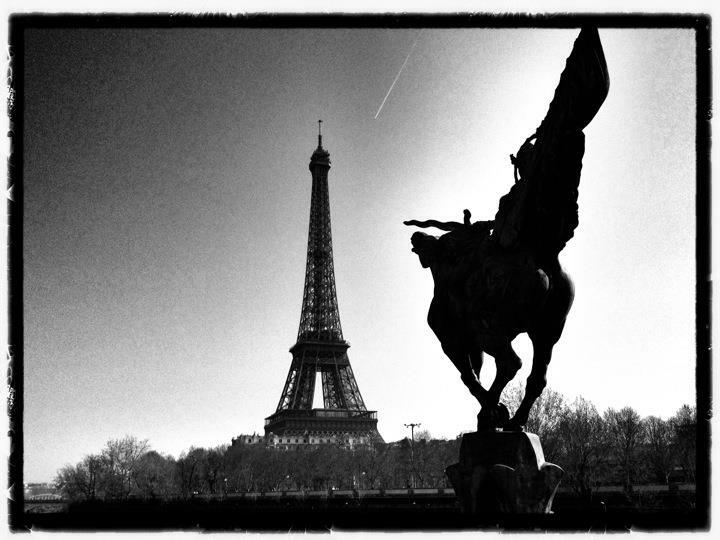 so many great moments…. what about Lizzy Hawker at Spartathlon, second overall and a new female record. Believe me, the above list is by no means comprehensive and I am sure I will look back and think… ooh, what about this and what about that… I could go on. But now here is my pick of personal moments from a great year. Rest assured, I am picking one month; one moment! 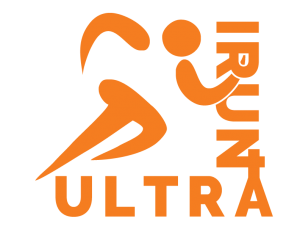 Talk Ultra was launched and thank goodness the format of an ultra running podcast that was more than just interviews was accepted. Taking the risk to do a ‘long show’ seemed to pay off and the loyal followers and support has been fantastic. I can’t thank you all enough for the growth of the podcast and 2013 will see it grow! For the 7th year running I went out to Club La Santa on Lanzarote and had another incredible week training in the sun with friends and clients. It has become a fixture in my year and never fails to disappoint. 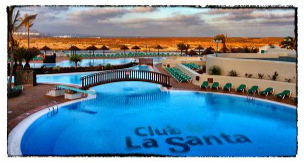 2013 will see us arrive on the Canary Island once again for more fun in the sun. A race fixture on my calendar for several years, the EcoTrail de Paris came around once again and I went out to Paris with Niandi for another great weekend of running and spending time in our favourite city. As it turned out we both had terrible races and DNF’d at the same time… you can always learn something! I was fortunate enough to be invited over to Turkey to take part in and report on the inaugural Iznik Ultra. I had only been to Turkey once before, many many years before and that was to the South. So I was very excited to spend time in Istanbul with Niandi and then head down to Iznik. The race was superb offering a selection of race distances over a varied course. Both Niandi and myself took part in the 60k event. I was pleased to come away with a win and Niandi made the podium in 2nd place in the ladies race. 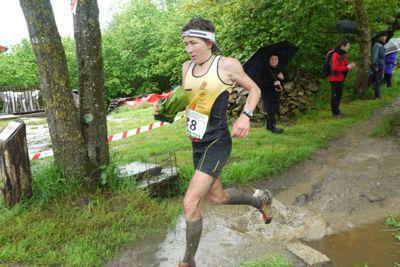 Zegama arrived and the heat and sun of La Palma was replaced with rain and mud. Lots of mud. Kilian Jornet just 7 days earlier had collapsed on the finish line at Transvulcania La Palma with exhaustion. 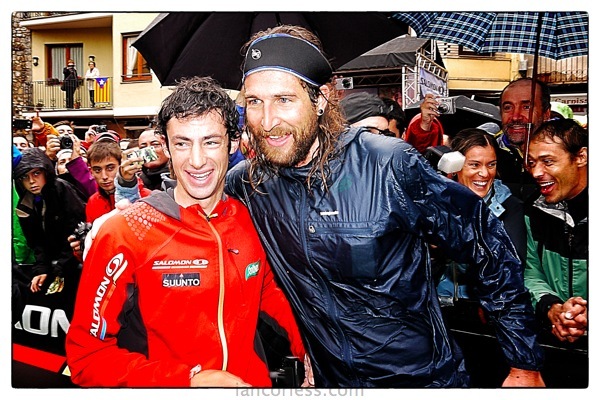 At Zegama he showed his recovery powers and showed everyone in the race how to run in the cold, wet and mud. Oihana Kortazar took out the win for the ladies ahead of Nuria Picas who was slowly becoming ‘runner of the year’. 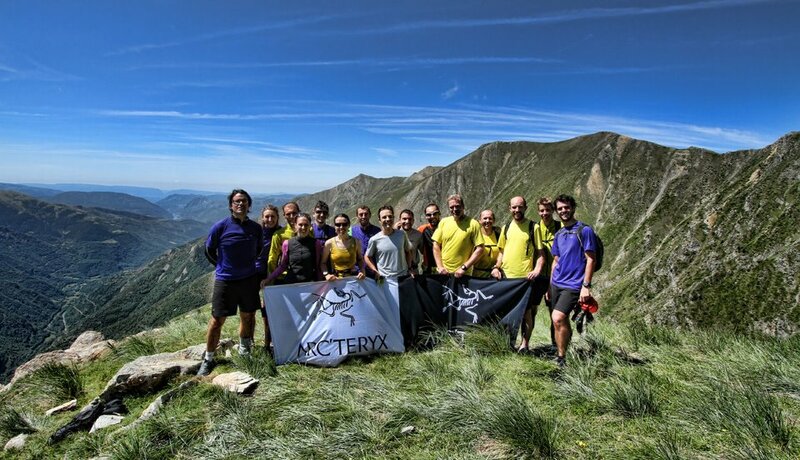 The Pyrenees and an invitation from ARC’TERYX to go and test out the new clothing range called ‘Endorphin‘ on the Skyrunning Ribargoza VK course. Great friends, great memories and some stunning scenery. 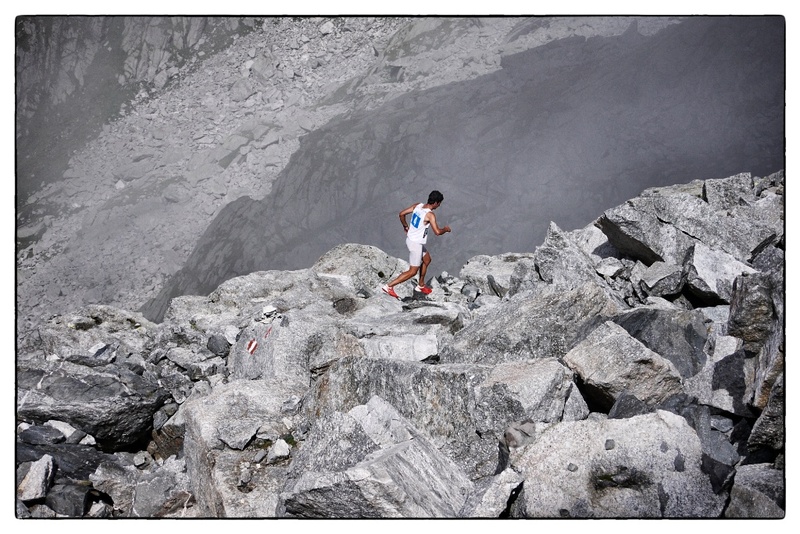 Wow – Trofeo Kima and one of the most impressive run courses I have ever seen. I was told by Lauri Van Houten before the event that this course would blow my mind. Little did I expect what lay ahead… 6 hours being flown around via helicopter on the most stunning and awe inspiring run terrain I have ever witnessed. 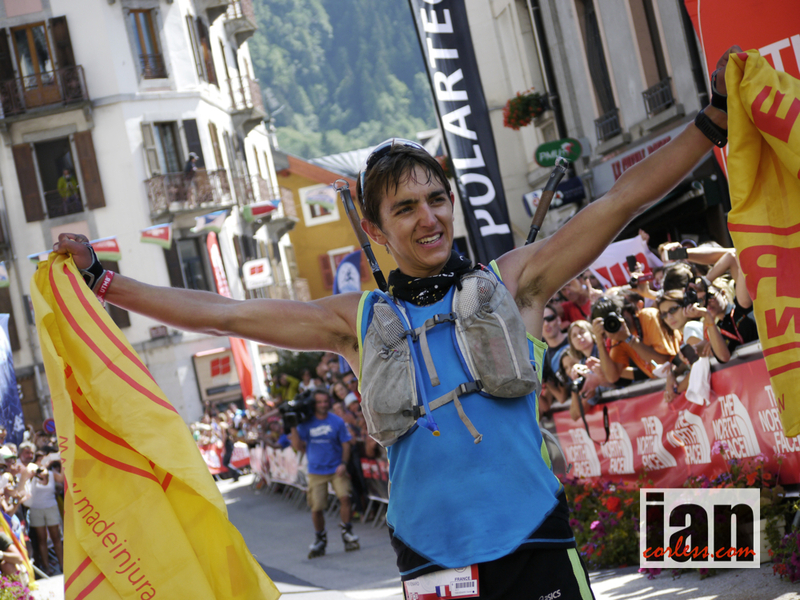 Kilian Jornet won the mens race and Nuria Picas won the ladies race. 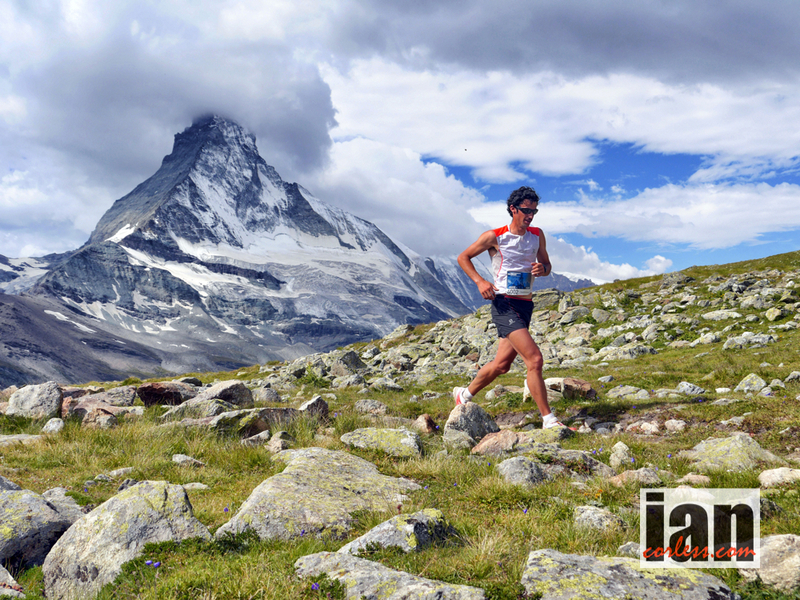 A stunning stunning race that signifies everything that Skyrunning is. Want to enter…? Don’t hold your breath. This race happens only every other year and typically only has about 125 places available. Berga in September, the weather breaks and Cavalls del Vent turns into a race of survival. Despite runners struggling with hypothermia the race produced a classic. The mens race was competitive seeing Kilian Jornet once again taking the win but this time ahead of Tony Krupicka finally finding some form after over 18 months out of the sport due to injury. Finishing off the podium was Dakota Jones. The ladies race produced the race of the year for me… so often in the longer distance races we see an outright winner crossing the line with 10’s of minutes to spare… not here! Nuria Picas, Frosty and Emelie Forsberg pushed each other right to the line with Nuria taking the win on home ground. Southern France in the town of Millau. The temperatures dropped and I slowly froze myself following the La Course des Templiers, the final in the Skyrunning calendar. I will remember this race for the incredible win by Nuria Picas ahead of a sprinting Emelie Forsberg who put Lizzy Hawker into third place. In addition to this, Kilian Jornet and Nuria Picas were crowned World Champions. Incredible performers in an incredible series of races. 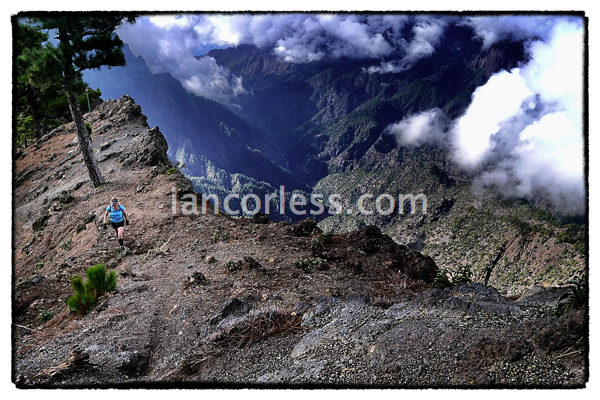 After a stunning year of following races, reporting and photographing I finally took some time out and headed back to the island of La Palma with my partner Niandi to play on the Transvulcania La Palma course. Two weeks of perfect weather and stunning trails provided the perfect end to a stunning year. It was great to spend that time on the trails in our own space and in our own time. Running when we could, hiking when we couldn’t run and walking when no other option was left… the latter half of the year was plagued by knee issues for me and although they havent gone, my time on the Transvulcania course with Niandi was a real highlight in an incredible year! I would like to take this opportunity to thank everyone for the support I have received in 2012. From race organisers, athletes, team managers, brand managers and all those connected to the sport I love. In particular I would like to thank Niandi for her patience. I also need to give a special mention to Lauri Van Houten and Marino Giacometti from Skyrunning for the trust they placed in me for 2012 and the continued trust for 2013. It has been an awesome year and 2013 is already looking like another year of moments, emotions and memories.